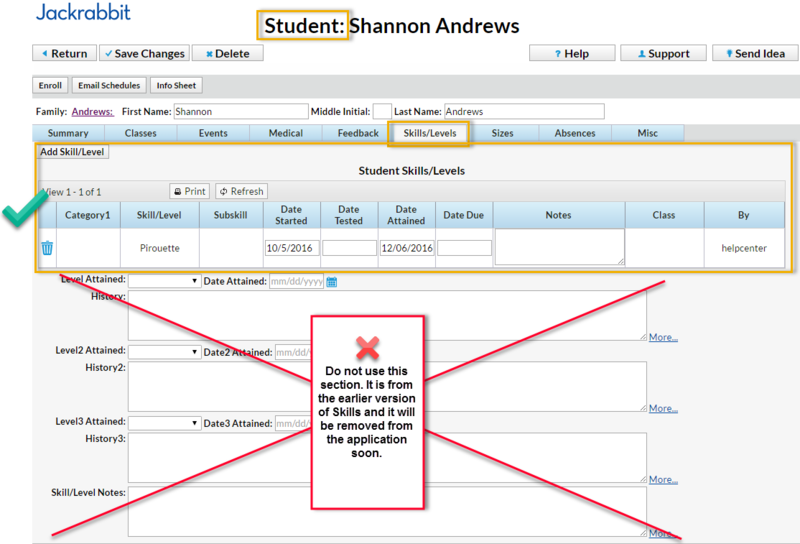 In the Add Student Skill pop-up box, enter appropriate information. 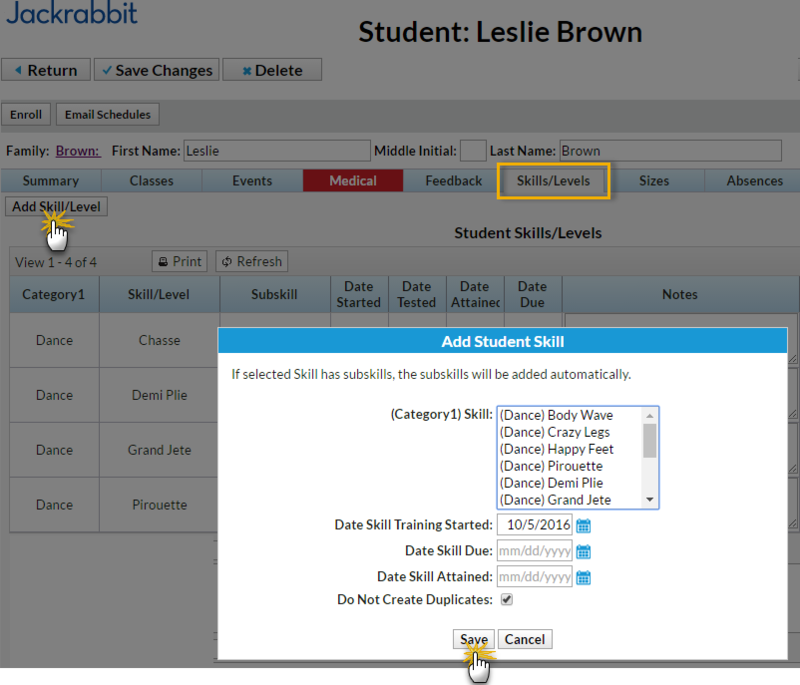 Do not use the Level Attained, Date Attained or History fields below the skills grid on the Skills/Levels tab on the Student record. These fields are from the earlier version of the Skills module and will be removed soon.